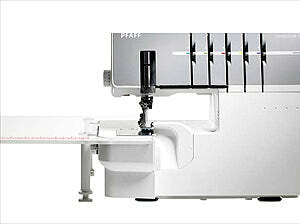 Coverlock 3.0 has 23 stitches, large space, extension table, auto tension, tension release, differential feed, 1100 spm. Pfaff Coverlock 3.0 5/4/3/2-Thread Overlock Machine. 5 threads, unbelievable sewing space, the professional coverstitch and a lot more! Sew, trim, hem and more in a single step for a professional finish on all of your projects. Give your ideas the perfect finish and create exclusive accents with decorative stitches. Sew, finish and hem in one step! The hem is the true test of perfection! Set the PFAFF coverlock 3.0 overlock machine for coverstitch – and the rest seems to happen by itself. In a single step, the fabric edge is finished on the bottom and a hem is created with a double-needle effect on the top. Use coverstitch to finish neck and armhole edges perfectly. The sophisticated design of the PFAFF coverlock 3.0 overlock machine offers an extra-large sewing space – a real advantage when sewing with large amounts of fabric. An extension table is included. Just slide it in place to double the sewing area. When sewing projects or when adding decorative seams or sewing coverstitch, you will enjoy the wide opening to the right of the needle that helps you maneuver your fabric easily. 23 stitches are waiting for you and your ideas! These include the popular safety stitch – an industrial stitch which won‘t tear, even under the greatest strain. Try it for yourself! Use chainstitch to do your basting as it is easy to unravel and you will never run out of bobbin thread. Highest perfection with a wide range of features. Each stitch has been automatically set at the optimal thread tension and can also be adjusted to fit your every need. Sew with up to 5 threads. The differential feed guarantees absolutely even stitching on every fabric. Pfaff Coverlock 3.0 Key Features. 5, 4, 3, 2 thread sewing. You select the desired stitch and thread tension is automatically set. Threads pull easily when presser foot is up. Easy to change from overlock stitches to coverstitches. No needle plate/presser foot change needed at conversion for different stitches. Adjustable for perfectly even seams, no stretching of the seam or puckering of fine fabrics. 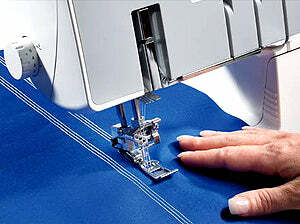 • Sews 1100 stitches per minute – sew faster, save time. • 2 sewing speeds – When you want more precision use the slower speed. Lay-in tension and color coded thread paths. For quick and convenient threading. Adjustable stitch length, cutting width and presser foot pressure. Choose optimal settings for different fabrics and techniques. Chainstitch – Join fabric layers where a traditionally pressed open seam is required. Works well as a basting stitch. 5-thread overlock – combines two stitches for durable and reliable seams. 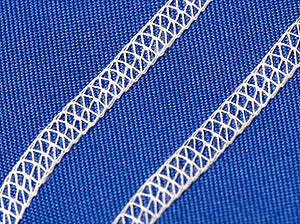 4-thread overlock – reinforced overlock stitch for perfect sewing, trimming and finishing. 3-thread overlock – wide and narrow overlock seams and decorative techniques. 2-thread overlock – rolled edge and flatlock, wide and narrow. 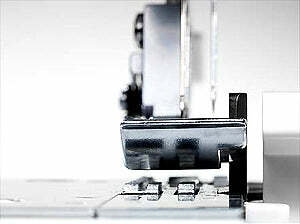 Built-in rolled edge – sew 2 or 3-thread rolled hems quickly without changing the presser foot or stitchplate. 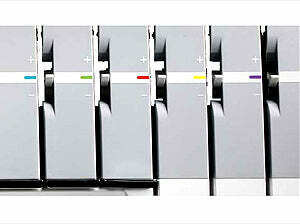 Pfaff Coverlock 3.0 Accessories Included. Knife blade (for the movable upper cutter). Coverstitch table B (for Cover/chainstitch). Extension table including four legs and push pin. Why Buy An Overlock Machine?.